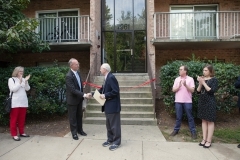 GSH was formed in 1974 when several parishioners at Good Shepherd Catholic Church found a struggling homeless refugee family living along Richmond Highway. 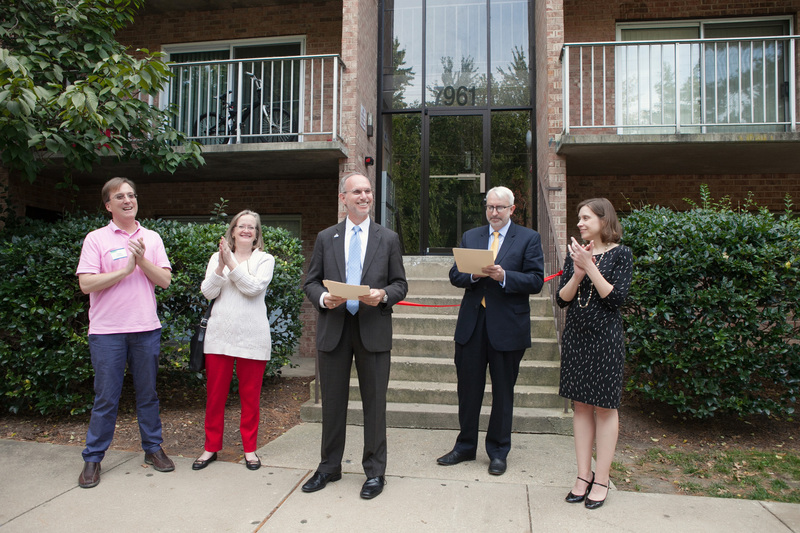 They came together, first providing emergency shelter at a local hotel, building them a home, and then providing support services over many years. As times changed, the volunteers realized that need in the area had grown exponentially. 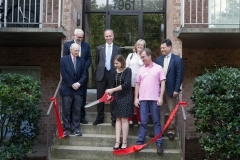 In response, the organization hired a permanent, professional staff and acquired affordable housing units scattered throughout the Alexandria area of Fairfax County. GSH is situated along the historic Richmond Highway corridor of Fairfax County and has successfully housed thousands of neighbors in need. Their numbers grow every year. 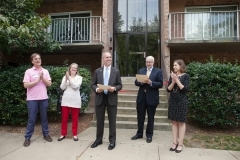 On average, GSH clients earn between 35 and 50 percent of the area median income (AMI), which in Fairfax County is $112,000 for a household of four. An analysis of the local real estate market has shown that for every two families that are within the 30 to 50 percent AMI, only one housing unit is available that is also affordable.